Awien Ambush is a different kind of tower defense game for PC, where the movies Home Alone and Aliens are mixed with a cartoon twist. This is a freeware game where the player controls Timmy and has to prevent an alien invasion in his home. To do this, we have to use all the traps at our disposal, but to do so we have to harvest the lifeblood of the aliens so that we are capable of building more traps. Some gadgets will help us along the way. 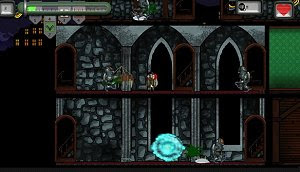 Awien Ambush features four levels, although the first is mainly a tutorial. There are four different types of traps to use on five types of aliens.